Modern professionals use disposable bedsheets as bedding material for cosmetic and other rejuvenating procedures. Our company produces disposable bedsheets under Etto TM exclusively of three layer nonwoven SMS material. Bedsheets of SMS in comparison with spunbond have better protective properties, do not leave lint, due to their softness and elasticity they provide with more pleasant contact with skin and due to the internal layer they do not let bacteria, which provides with maximum protection and comfort during cosmetic procedures. The range of Etto TM bedsheets is characterized by various colors, universal sizes and excellent aesthetic look. SMS-material not only efficiently protects from the smallest bacteria and microorganisms but prevents from their expansion. In order to produce our bedsheets we use only natural materials. 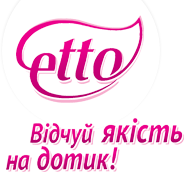 Etto bedsheets are hygienic and hypoallergenic, ideal in applying in any cosmetic procedures and all types of skin even very sensitive. The unique composition of the material assures free air circulation providing with the maximum comfort during procedures. Due to their three layer structure Etto bedsheets do not break and do not lose their shape. Keeping strong and high barrier properties Etto bedsheets are practically weightless and soft in touch just like silk. This is what without doubts makes Etto bedsheets a leader in application comfort. One more essential advantage of Etto is that our bedsheets do not leave lint even on wet skin. The color variety of Etto bedsheets will satisfy the most pretentious whims. The bedsheets color will emphasize your salon unique style or will express rainbow of the master's mood.